Back in September, I had my hair done at my favourite salon in the North East and I have been loving my colour ever since. I basically had my root area dyed darker to give me that outgrown, lived in look and I have loved it, although now my light roots are coming through so I really need to get booked in to have the colour topped up after Christmas. I’ve been trying out some new products since having my hair done and today I thought I’d review one of them for you. You might remember this product from my High End Beauty Haul video. 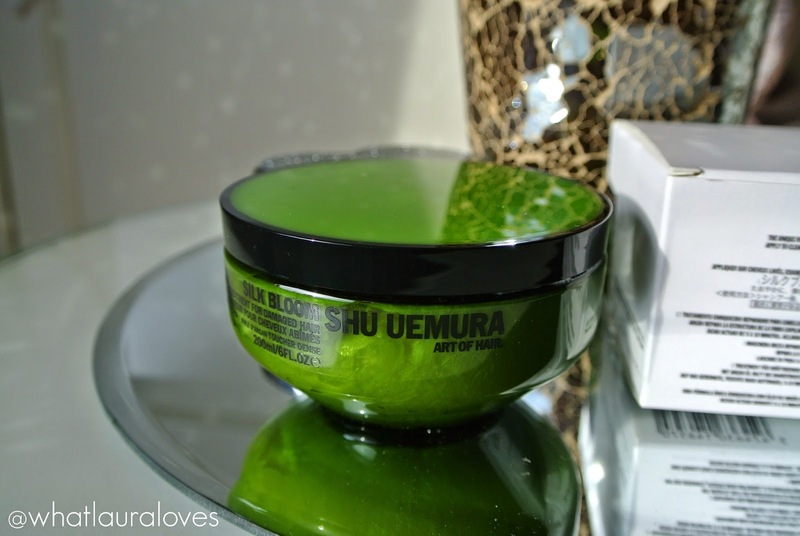 The Shu Uemura Art of Hair Silk Bloom Restorative Treatment is a hair mask that you apply to damp hair and leave on for 5 to 10 minutes. I jump in the bath, wash my hair then wring it out and pat it dry with a towel, then I apply the treatment all over my hair and leave it on for at least ten minutes. As it is a pretty expensive product, I like to feel as though I’m getting my money’s worth out of it! 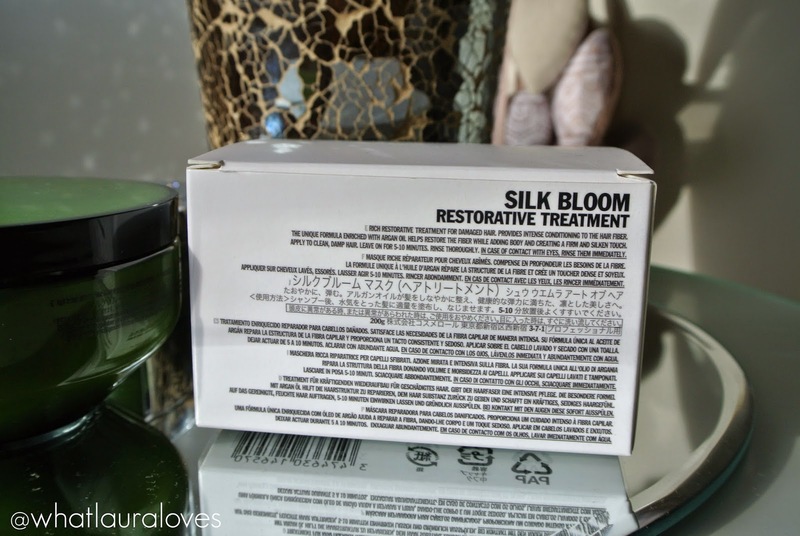 The Silk Bloom Restorative Treatment is designed to help to repair damaged hair, using argan oil, ceramides and vitamin E within the formula to have a restorative effect on the hair structure while also fortifying the hair fibre, and building strength, body and vitality. I have tried this treatment on my natural hair alone and also on my natural hair and S Locks hair extensions (fitted by the lovely Sinead at Refine Spa in Whitburn) which are also real hair. I’ve got to say that they didn’t do anything for my hair extensions really in terms of smoothing down the ends of the hair and I didn’t see any improvement on the ends of my natural hair either so I don’t really think that this has too much of a restorative effect on my hair. I was a little disappointed after continued use of this treatment as I had read such rave reviews about it, yet by the time I had finished the pot, I hadn’t noticed any huge differences in my hair. I did notice that my hair overall did look and feel a little more silky than usual, a little softer I would say and it did appear to have a nice boost of body through the mid lengths. However I do think that you can get products that work just as well, if not a lot better, with far less money than this pot will set you back. The John Frieda Miraculous Recovery Intensive Mask is absolutely fabulous at restoring dry, damaged hair so I would really recommend that one, especially as it is only a fraction of the price. 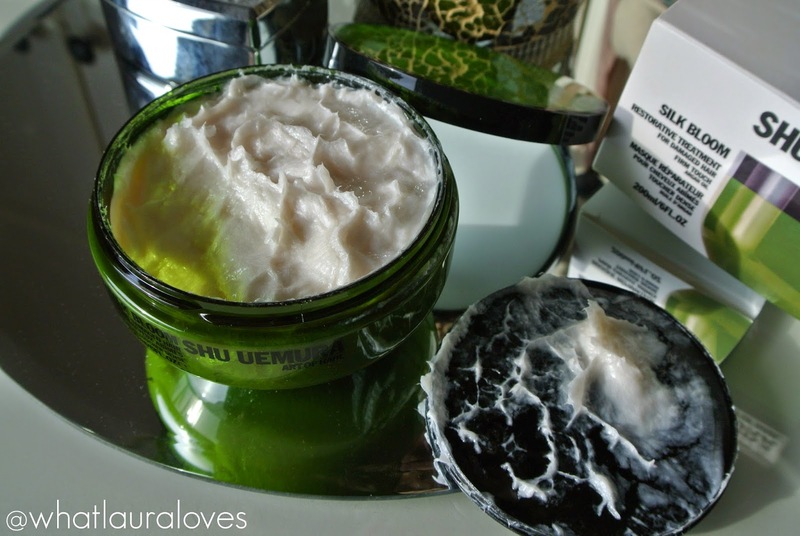 I reviewed it alongside several other hair masks in my Hair Mask Showdown post. 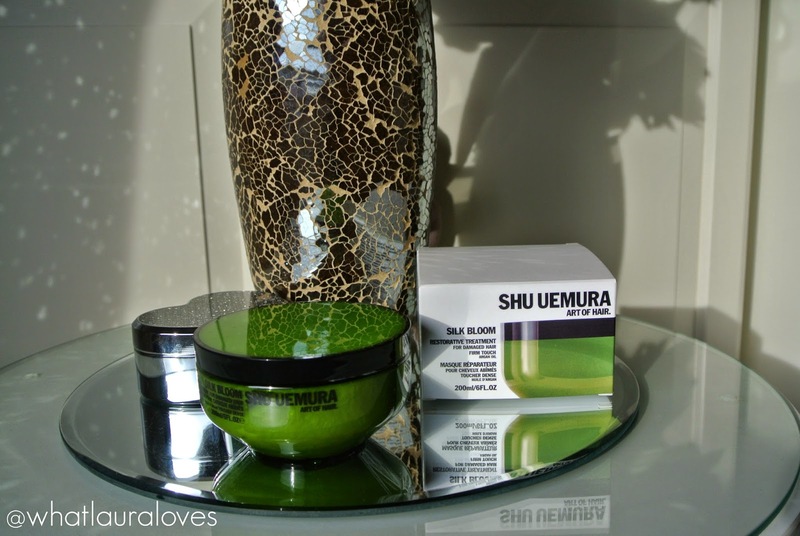 My favourite thing about the Shu Uemura Silk Bloom Restorative Treatment however is that although the texture of the product in the pot is very thick, it is easy to distribute through the hair and when washed out, it doesn’t leave the hair feeling heavy or weighted down. It also doesn’t make my roots greasy which is something I have found with restorative treatments in the past so if you’re looking for an average mask to use frequently to add a little softness and body to your hair and you have the spare cash to splash out on this one then go for it however I would say that there are far better treatments out there for less money. 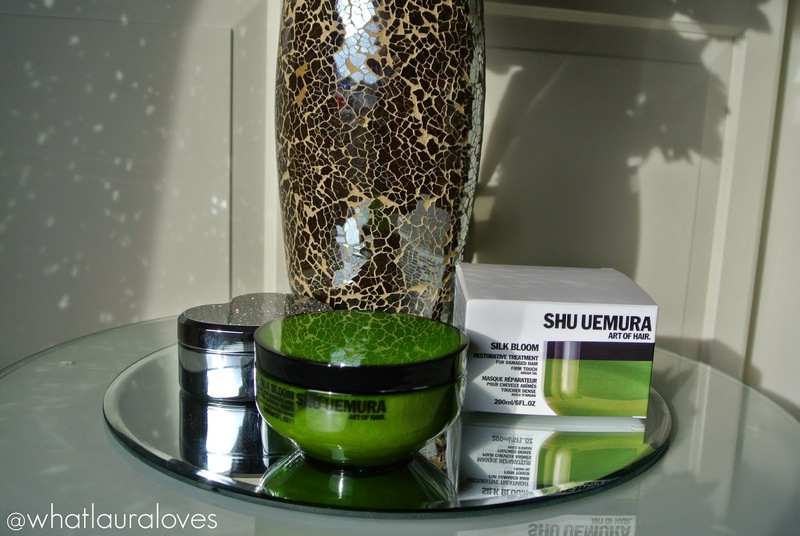 What are your favourite restorative hair treatments? Have you tried this one and experienced different results? Let me know in the comments! Sounds like such a lush product babe! Loving the sound of it! Your hair always looks gorgeous! <3Lucie xxFatbeautyx | Plus Size Fashion & Beauty Blogger & VloggerDon't forget to join StyleLifeBeauty on their Facebook Group & Twitter helping to grow your followers and bring together Beauty, Fashion and Lifestyle bloggers. I use this as Well and I think the Mystery behind this is to leave it in overnight. I Never had such a silky hair like now using the masque.